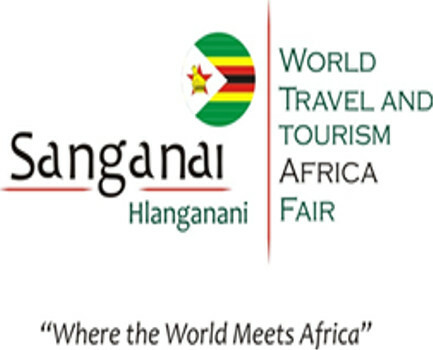 The Zimbabwe tourism expo (Sanganai/Hlanganani) is around the corner and East Africa is expected to be in attendance. The 2015 edition of trade expo will take place in Zimbabwe’s capital Harare 18th-20th June and will be staged at the Harare International Conference Centre. Several countries have been targeted as participants in the expo. The Zimbabwe Tourism authority is targeting Uganda, Kenya, Tanzania and Rwanda to showcase their tourism products. Airlines, safari operators, hotels, government bodies, resorts, conservation companies and so many more will also get the opportunity to showcase their products. Zimbabwe formed some contacts during the Magical Kenya Tourism Expo last year and hopes to use these contacts. The program has tourism trade and B2B meeting for the first two days, then, on the third day the expo will be opened up to the public, so people can come and see what the different countries will be showcasing. There have been 7 editions of the Zimbabwe tourism expo. These have all been successful and have drawn participation from various countries with large tourism markets such as Botswana, South Africa, Malawi, Malaysia, China, Zambia, Kenya, Mozambique, Namibia, Indonesia, India, Italy, and a number of other countries. The past expos have attracted major buyers and sellers in the tourism industry across the world, and the hope is that this trend will continue. Exhibitions like these give Africa a platform to market their tourism products to other countries on the continent as well other continents as well. It’s good marketing strategy for African safaris. Products such as gorilla trekking safaris in Rwanda and Uganda can easily be marketed on such platforms not mention the numerous game parks and conservation sites across the East African region. Tanzania safari holidays for example which have become quite popular with tourists in the region, could be marketed to a wider audience. All EAC member countries are expected to be represented at this year’s edition of Sanganai/Hlanganani. – Networking: businesses even tourism thrive on networking. At the expo, exhibitors, visiting buyers, investors, and suppliers of tourism products all meet and get time to interact and form friendships and get contacts that could help grow their area of interest in the tourism industry. -It provides a good platform for establishing strategic business partnerships with world tourism players. – It gives various players in the tourism industry to Showcase their destination, products and services. – It is very educational and enlightening. It is a place to acquire and grow one’s knowledge about the different markets in their field. – It is a space where countries and participants can derive value from well structured, themed and informative International tourism conferences and workshops. – Provides opportunities for Interaction with Travel Media from all corners of the world. -Provides a platform and opportunity to establish strategic partnerships with other destinations/Cities. -Extended networking. It provides an opportunity for participants to Network across Ministerial divides.